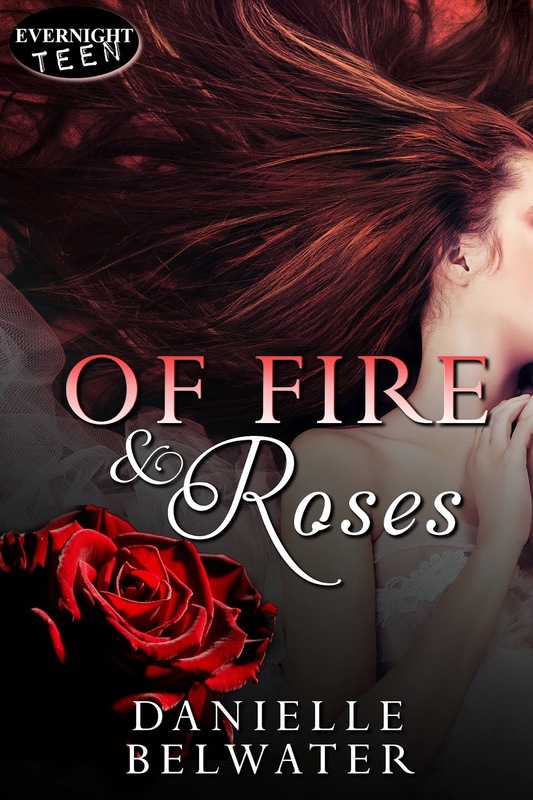 NaYa Books and More: Danielle Belwater's OF FIRE & ROSES Tour and Giveaway! 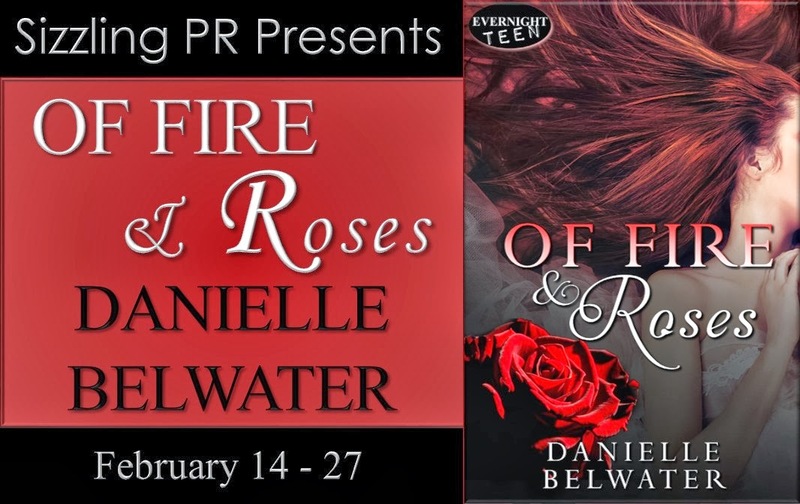 Danielle Belwater's OF FIRE & ROSES Tour and Giveaway! Blurb: Nathaniel West’s mother is dead, his father a lost cause. Anger has become a way of life, until he meets and falls in love with Cora Ewell. Only Cora has a secret, one that could kill them both. Excerpt: I came to stand on the branch that I would jump from. Holding on to the branch above me, I edged my way out to the dangled rope. With one hand, I grabbed the rope and pulled it toward me. I inched back a few steps to give myself a decent amount of swing room. The rope was fraying, coarse, and rough in my hands. I could hear loud shouts and whoops of encouragement from below, but I blocked them out, shut my eyes…then jumped. Free…Swinging out in the air, I forgot everything in that brief moment of peace. Letting go of the thick rope for that split second of suspension, I felt like I was flying. Then, I was no longer flying. I was slamming—slamming into the cold, glassy lake. The impact shattered every cell in my body as the pain of hitting a sheet of solid water turned me to jelly. Then I was under. I opened my eyes. Murky darkness surrounded me. I don’t know how far I was submerged but I could see rays of sunlight piercing through the surface into the depths. I waited for the moment my feet would hit the bottom so I could push off and resurface. Feeling the sludgy sand between my toes, I closed my eyes again and prepared to launch myself skyward. I don’t know why, but my feet were stuck. Something cold and slimy had wrapped itself around my left leg, tendrils crawling like ants around my calf. All the air in my chest escaped in a single cloud of air bubbles making a frenzied dash for the surface. Kicking and flapping about, I tried to dislodge whatever had caught my foot. I needed air but every time I opened my mouth it filled with the ceaseless rush of muddy water. Don’t panic, don’t panic, don’t panic! I crunched myself into a ball and stretched my arm down in a vain attempt to remove whatever it was that had the vice grip on my ankle. I wrapped my hand around the offending root that held me. Terror stopped my heart and froze my blood, and my eyes shot open. Clamped around my leg was a grizzly, white-knuckled hand extending out of the lake floor. I struggled and fought to pry the digits loose. It was no use, my ankle was locked fast, and I had nothing left. Given the go-ahead, the murky liquid hungrily searched for any way to penetrate and take over my body. A thousand knives pierced through me as I battled for every last scrap of oxygen. My arms and legs spasmed once, then twice, then stopped fighting and went deathly still. An ethereal calmness took over. I knew right then I was dying. I thought of Cora, imagining her warmth and fire, and I found peace. I pictured her arms wrapped around me, holding me tight forever and never letting go. thoroughly believes everyone has their Prince Charming or Snow White out there somewhere, even if they have to fight demons, ghosts, and wizards to find it.Danielle has been having a love affair with words since she was young and in primary school, writing some rather imaginative tales. This love has followed her into adulthood.